Matilde provides an interesting, fact filled, well paced tour. She is available to help, both during and after the tour. A worthwhile experince. Matilde has the unique talent of bringing the often dry dates, names and events of history to life by making connections with the surrounding buildings and monuments. Discussing the Age of Discovery with her was enlightening as she brought that era to life. Friendly and professional, she also is flexible and willing to adjust to the interests of the group. We have no hesitation recommending her for your Lisbon touring needs. Matilde gave us a supurb introduction to the food and drink culture of Lisbon. She did this by combining an overview of the downtown sites with an excellent selection of small tastes then ending with a wine tasting hosted by a knowledgeable and friendly sommolier. In just a few hours, we suddenly felt comfortable and excited about our next few days ahead in this wonderful city. We spent a wonderful day with Matilde. She was so personable and friendly. We felt like we had known her for years! Her knowledge of the city and her ability to share the history and the culture of the city were outstanding. This was a food and wine door woven into a city center tour. Matilde took us to amazing places to eat and have drinks. She even took us to her favorite olive oil store where we had tastings. This was a five star plus tour. Thank you Matilde for making it such a great day. Our tour with Matilde was great. She was personable and knowledgeable, and when we told her we had made a poor choice and our hotel, she went above and beyond and helped us not only book another hotel but helped us get there as well . We highly recommend Matilda! Matilde was very friendly, helpful, knowledgeable and accommodating. We really enjoyed and appreciated the entire experience. Matilde took us to places that we would never have found on our own! Awesome! TOUR GUIDE RESPONSE: Dear Janie, Thank you for the kind words! Your review means a lot to me! It was a great pleasure to meet you! Hugs and love from Lisbon! Matilde was great. She is very knowledgeable and charming. She loves Lisbon and you can tell. We learned more in 3.5 hours with her than 2days. Fantastic tour guide, knows her stuff easy to be with, adapts to needs would rate her 10stars not just 5. The tour was amazing. Matilde was knowledgeable, personable, and both excited to show us Lisbon and exciting to be around as we explored the city. I dont know if weve ever had a better single day tour! Thank you for everything! We would like to thank Matilde for the great tour visiting Lisbon by foot. She was very kind and prepared and gave us great tips and indications. Very good Italian and English. Rate 5/5 We will recommend her. Can I rate Matilde a 6 or maybe a10? She put together a well thought out tour. She was able to talk about anything we wanted with knowledge and perspective. And she was fun to spend time with. We were sad the day ended. We will recommend her to all our friends. Mathilde is an awesome, knowledgeable and friendly guide. She is a safe driver and a great companion to hang out and talk with about Lisbon and the surrounding area. She is quite flexible and will go out of her way to accommodate one's requirements. She makes history come alive. My wife and I give her the highest of recommendations!!! Absolutely BRILLIANT!! I give this tour and tour guide (Matilde) my highest rating. In fact, in all the traveling I've done in the last 20 years, Matilde is the finest guide I've ever had the pleasure of dealing with. Her knowledge of Lisbon and Portugal's history, her passion for her heritage and culture and her willingness to adjust the itinerary to meet our specific interests was truly exceptional. She was also a very friendly and engaging person. Matilde is a credit to ToursByLocals. Matilde gave us a memorable experience in Lisbon. She is very personable, knowledgeable and fluent in English. We highly recommend her. TOUR GUIDE RESPONSE: Daniel!! How nice to have news from you! YOU made my MONTH! Great great great pleasure to have met you! Gracias por todo y muchos abrazos desde Lisboa! Matilde was fabulous. She was knowledgeable, considerate, pleasant and cooperative. She was everything a tourist would hope for in a guide. Carlos, the driver was also wonderful. We will definitely want to use her again when we return to Lisbon. Matilde was a delight and knows how to show off her beautiful city. We enjoyed going to out of the way stops, the market, and divine pastry shops. Her knowledge of history and her perfect English made for a wonderful experience. Thank you! TOUR GUIDE RESPONSE: Thank you so much Judy for such kind words! Matilda was absolutely wonderful. She has a great knowledge. empathetic to our need and request. We felt fortunate to have her as our tour guide. TOUR GUIDE RESPONSE: Thank you Zisi!! You were wonderful! Wow what a fantastic time with Matilde. She was very responsive & flexible in coordinating the tour for my family. She arrived early to pick us up and right away we knew we were in good hands. She has a very nice car & the ride to Evora was a very pleasant drive. While at Evora, she was extremely knowledgeable about all the sites we visited & we truly enjoyed our day trip with her. Matilde is very organized, thoughtful, and a true professional who takes her job very seriously. I highly recommend her. Matilde is simply a superb guide, and a great personality. Knowledgable and conversant about her subject and any tangential questions. You will have a spectacular experience with her. We learned about history, politics, historical figures and characters, geography and she mixed in personal stories pertinent to the locations we visited. She managed our schedule such that we go the most out of our time together. We later joined a 10 day group tour and we wished Matilde was still our guide. Matilde was an excellent guide. Not only a true professional, but also interesting and enjoyable to be with. She was great with the kids, asking them questions and involving them. She was very knowledgeable about all the sites. She was also very organized, as she planned one walk up to the Castle and then smartly down and around pretty much the rest of the way. That is a trick if you know how hilly Lisbon is. She was extraordinarily helpful, and left us at a very good restaurant. Matilda was very professional, highly informed (erudite but delightful with it), and met all our expectations! Our day started with the tour of a wine estate which met a special request of ours to also view Lusitano horses - giving us a tour by the estate owner of his fields and stables and a tasting of his award-winning wines and then we were off to an in-depth tour of a UNESCO World Heritage site. Excellent guide - lovely day!! The best way to see Lisbon! Matilde was amazing. It was our first time to Lisbon. We opted for an all day, customized tour of Lisbon, Cascais and Sintra. She is super knowledgeable of the areas and country so we received an intimate tour of the towns and all the amazing history! I would recommend Matilde for anyone who wants to be spoiled! She has all sorts of info, best kept secrets and can help with pulling some local strings if needed! Hands down a great experience! In short, Matilde is awesome. My wife and I have taken numerous private tours throughout Europe, and Matilde is in the top of the class. She is personable, knowledgeable, and attentive and focused to what interests the client. She then tailors the tour accordingly. I would highly recommend her. What a great tour and introduction to Lisbon! Matilde Mendes was outstanding! She was friendly, professional and her knowledge of the present and past history of Lisbon made this tour educational, interesting and enjoyable. 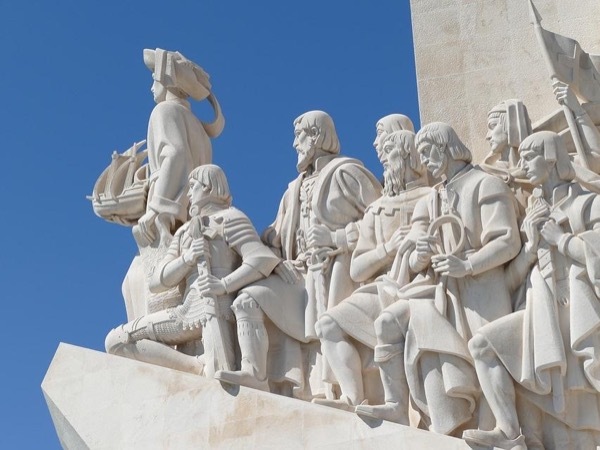 Her driver, Luis, navigated the streets of Lisbon like Vasco da Gama navigated the seas, smoothly. We hated to say good-bye at the end of tour and wish we could have taken Matilde with us to guide us in our next ports of call. Five stars plus!! Matilda did an excellent job of showing most sites. Because it was a holiday all sites were not available. It was an excellent tour and that the guide was both personable and very knowledgeable. Spending the day with Matilde was absolutely delightful. She smoothly adjusted the itinerary and her descriptions to our interest in gardens, suggested Montserrat (which was not to be missed and the highlight of the day! ), and drove beautifully. You will be in very good hands with her. Our tour to Sintra with Matilde was terrific. We cannot imagine how it might have been better. Matilde is exceedingly knowledgeable about seemingly everything In Portugal -- history, art, culture, architecture, and more. Not only that, she is expert on many other European countries as well and is able to bring a comparative and deeper perspective to any visit. Her English -- and French and Italian and more, are nigh on perfect. Most important, she is a lovely person to spend a day with! A great tour. Mathilde was a superb tour guide - she knew her history and culture and had answers to all of our questions, and also showed us lots of special places we would never have found on our own. She added great recommendations for the rest of our trip as well. She was professional but very warm and tailored the tour to our preferences. Very happy we found her!! TOUR GUIDE RESPONSE: Thank you Karen and Em ! Have a blast! Matilde was outstanding! Very personable as well as knowledgeable. We thoroughly enjoyed the trip to Sinatra and Cascais was fantastic!we also really enjoyed the views from Cabo da Roca as well. Would highly recommend Matilde for any tour in Portugal. When visiting a new city I always book a walking tour of the old town with a private guide at the beginning of my stay. In Lisbon I was fortunate to have Matilda M. as my guide. A private tour is really about going for a walk and having a conversation with someone you would consider new and instant friend. Although I had the most to learn, we learned from each other. Matilda is an absolute master at engaging a client's willingness and desire to learn about her city of Lisbon. Mathilde did a great job of guiding us during this walking tour. WARNING: to those who are looking to have a Jewish Heritage experience just know that there is very little evidence in Lisbon of a Jewish community. Visits to the 1902 synagogue must be arranged in advance and there are no visitations on Friday (the day we were in Lisbon). Lisbon has a tremendous historical significance for Jews leaving Europe during WWII but the remaining vestiges are few. We had a great day with Matilda, and I would happily recommend her to anyone. I have taken dozens of private tours around the world, and she is one of the best. We did Lisbon to Sintra, which is a great over view of the area. Maybe do this tour on your first day, and go by yourself after that. Matilda can give you ideas on what to do. She is also a traveler, so plenty to talk about! Matilde was an excellent guide. She showed us the city at our pace, showing us major landmarks and 'hidden gems'. She also helped us plan the rest of our stay in Lisbon and ensured that we understood the public transport system, restaurants, and local customs. Her English is excellent and she has a lively sense of humour. Altogether an excellent guide and a very nice lady. Our group is sitting in The Wine Cellar where we ended our day talking about what a great tour we just finished with Matilde M. It was fun, informative, and oh so Yummy!!! Matilda was flexible, friendly, and funny. She showed us insider views and tastes of Lisbon. We were a group of 8 and all agree she is wonderful. This was the best introduction to the real Lisbon history and cuisine. Both the tour and the guide are excellent. I recommend both. What a wonderful day with extremely personable Matilde - you won't be disappointed! She met us at our hotel for a 4 hour tour, exactly as described. It was the perfect tour - listening to Matilde lovingly describe the history of her city - and stopping along the way to taste the delicacies of Portugal. It was a great tour for 4 seniors, a wonderfully-paced walk with the right amount of stops to enjoy the sights & food of Lisbon. If you are choosing between guides, PICK Matilde -- she is really THE BEST!! Matilda was spectacular-- personable, articulate, extremely knowledgeable, with extraordinarily good English. Just wonderful. 5 stars. Matilde was an excellent guide. The tour was a great history lesson about the Jews and how they lived for centuries under different rule in the country. We did get to visit the only remaining synagogue as well. In addition, we toured the local neighborhoods and got a broader education and appreciation for Lisbon in general--a great starting point from which we based our next few days of exploring the city. The walking itself was easy--minor hills and all over charming streets and plazas. Recommended! Mathilde was wonderful. I saw her Jewish heritage tour, and asked if she hike include elements of her food tour as well. She was extremely cooperative, knowledgeable and friendly. I understand much more than I would otherwise. Thank you Maltilde for this excellent tour of Lisbon. Maltilde was very warm and personable. She was very knowledgeable and explained the roots of Jewish history in Lisbon. She was able to pace walking tour to our level. Again thank you Maltilde, the tour was awesome. Matilde has a deep knowledge and interest in history of Jews in Portugal. Great tour guide for those who are interested in the subject. TOUR GUIDE RESPONSE: Thank you Inna!! Have a great time in Madeira! Matilde created a day trip around Lisbon for my wife and I. It included the towns of Obidos, Alcobaca, and Tomar. The trip was a perfect blend of architecture, history, and food. Matilde was able to guide us through the sights while avoiding the large tour groups that can overwhelm the experience. Her knowledge of world history, religion, and food was impressive. We would definitely recommend Matilde. Matilde was a wonderful guide. She created a customized tour of Lisbon that included plenty of local history, drinks, and small bites. She has a wide breadth of knowledge over many topics that she delivers in flawless English. She could easily pass for a native English speaker. The amount of walking was perfect for our physical level. We would highly recommend Matilde. Matilde was an exceptional guide! She was punctual, professional and extremely knowledgeable, but most importantly, she was a lot of fun to be with. Both my husband and I appreciated that she tailored the tour based on our interests; no part of the itinerary was set in stone and it made the day very pleasant. She drove us in her comfortable, spotless car and the day just flew by. I have used guides in many different countries, and I would say that Matilde was definitely one of the very best. Matilde brought history to life. Knowledgeable charming and totally intune with our expectations. Matilde is beyond 5 star.So treat yourself to an amazing experience. TOUR GUIDE RESPONSE: Hello Pearl! So nice to hear such kind words from you! It was MY pleasure to share all those information with you!! Hugs from Lisbon Matilde M.
Matilde was absolutely terrific. Astute, knowledgeable and entertaining from beginning to end. We not only enjoyed being with her as a professional we would enjoy just being with her as a friend. My wife and I used Matilde three days in a row. We hit the "jack pot"!!! Charming, knowledgeable, entertaining and fun to be around. She is the perfect choice for a small group tour guide. Matilde is great. You will NOT be disappointed if you use Matilde as your guide. Matilde is fantastic. Extremely knowledgeable. Charming with an outgoing personality. Perfect English. A pleasure to be around. We are so glad we booked this tour for our first full day in Lisbon. Matilde, our guide, gave us a great overview and foundation to the history of Lisbon - political, social, and gastronomical. Walking around the city with her was like hanging out with a good friend with a Masters Degree in all things Portugese. Food stops along the way were ones only locals would know about. Exactly what we hoped for. Saying goodbye to Matilde was tough, but sweet, too, as will probably see her again. We took this tour with Matilde, She has a great knowledge of the Jewish History and Jewish sites in Lisbon. She is very personable and was able to answer all of our questions regarding both Jewish and General History. I would greatly recommend her services. Matilde was such a delight to guide me through the best of the Lisbon food tour! She was charming, knowledgeable, funny, and accommodating. Truly a pleasure to hear her "share" her home town with me. Absolute bargain and worth every Euro! Highlight recommend her and this tour! TOUR GUIDE RESPONSE: Thank you Denise! It was great!! Ms. Mendez was punctual, and very well versed in historical and popular information. She addressed all of our questions and showed us sights that we would not have seen without her. She included individualized information about shopping and cuisine specific to our requests. Matilde kept us moving while maintaining a casual an unrushed feeling. She is a great guide and we would highly recommend her. TOUR GUIDE RESPONSE: Thank you to both of you! I had a great time, honestly!